Remember Opie? And Aunt Bee? How about Andy Taylor and Barney Fife? Well, if you do, you remember Mayberry too. Mayberry was the small bucolic town with a main street, cafe, barber shop and a few other necessary businesses. It was the town where everyone knew everyone and ABOUT everyone. It was the place we think of when we say, “the good old days”. Well, I happen to be one of the few people left who live in Mayberry…almost. I am lucky enough to live in a town so much like Mayberry that today we celebrated our 2nd Annual Mayberry Days Festival. We had all kinds of vendors set up, our local merchants ran specials and music groups performed for the crowd. 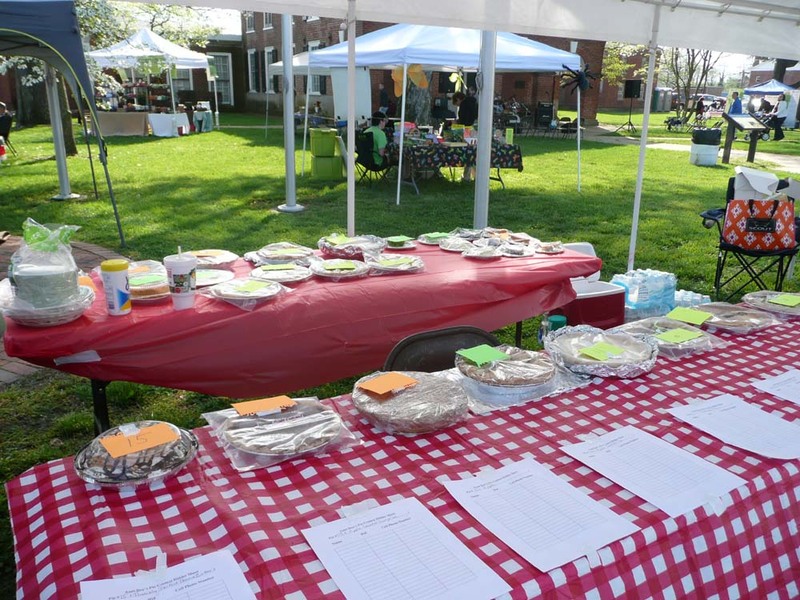 The big event, however, was the pie judging contest. Here are some pictures from today’s doings. Here’s just a small view of some of the tents set up along main street. That’s our courthouse behind the white awning. Guess what’s under the white awning…. Pies, pies and more pies. The ones up front were lined up for a silent auction. Oh, my gosh, they all looked so good. I would have bid on one, however, I’m on a fast right now that does not allow any sweets. Boo hoo. These are the pies up for judging. I’m going to have to see if I can get into next year’s judging gig! 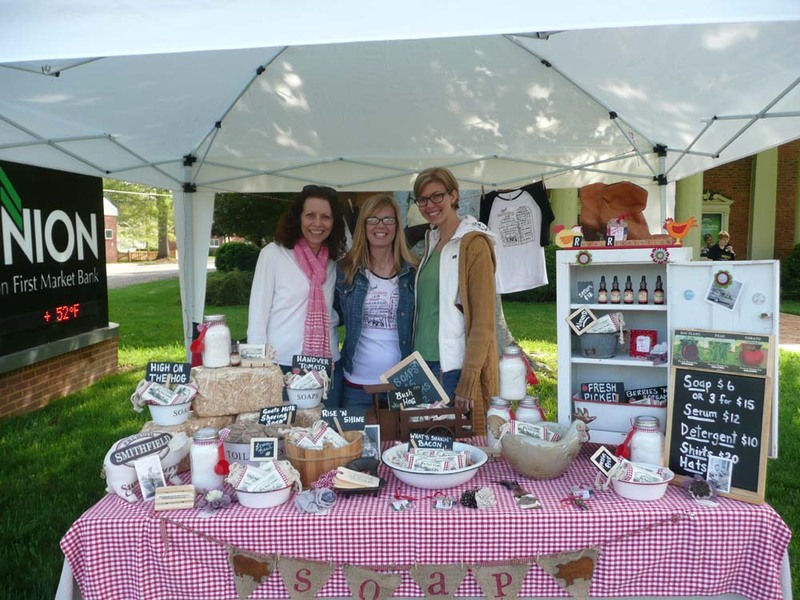 Here I am at the Hogwash Soaps booth with Carmen Long of Hogwash Soaps (Rural Revolution LLC) and Leslie Baker from The Farm Table (The Farm Table.org). Two really nice ladies with awesome products. I had to have a bar of lilac Hogwash Soap. I keep thinking of reasons to wash my hands now! And Martin and I picked out a box of produce from The Farm Table. I can’t wait to get cooking, well truth be told, I mean I can’t wait for Martin to get cooking!! This is my friend and neighbor Michael at his booth. 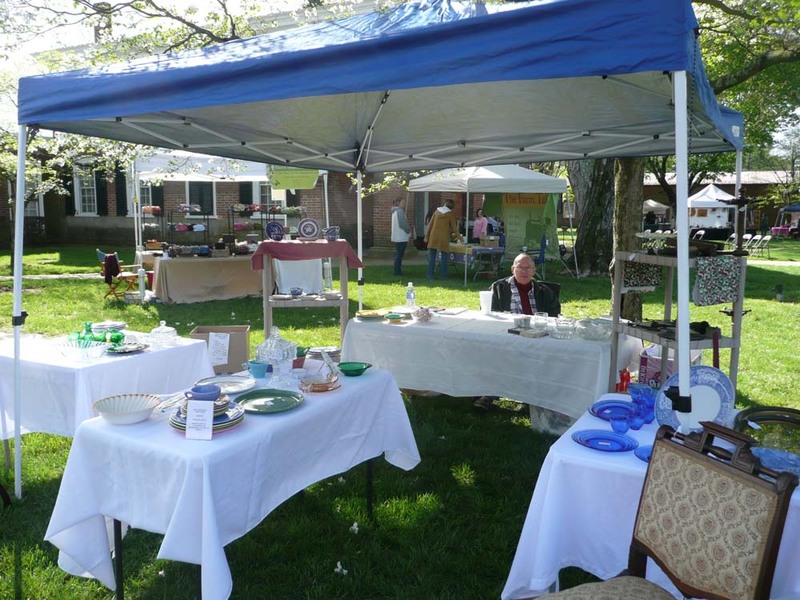 He has wonderful depression glass and other small antiques. I always enjoy chatting with him. 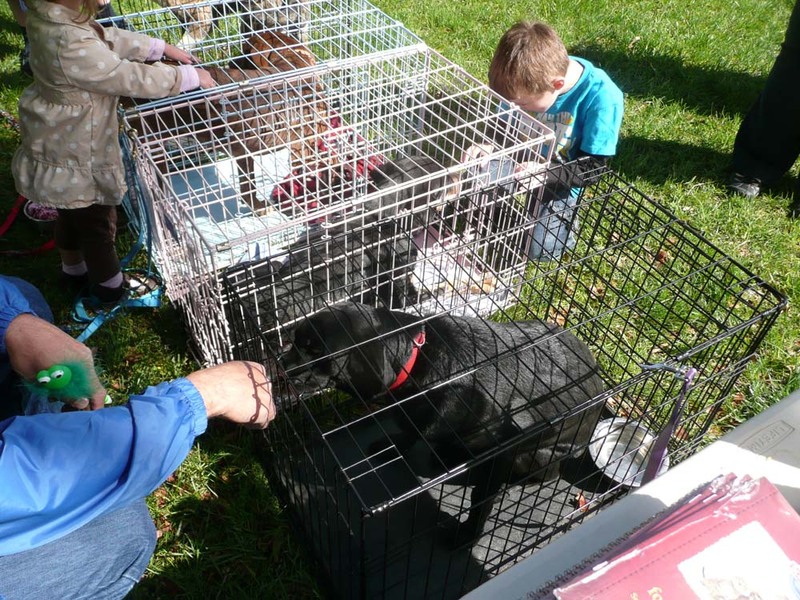 And lastly, for me, was a visit to the Caroline Humane Society booth. As you can see, they have some lovely pooches up for adoption. What I didn’t get a photo of, however, was a very sweet and handsome cat named Cheyenne, who may become a part of our family. Martin and I are still thinking this over. These a just a few pictures of the many vendors and activities that took place today. Due to a recent back injury, however, I could not stay out long as the pain was getting a little intolerable. I urge you next year to come to the Bowling Green Mayberry Days Festival and have fun the old-fashioned way. 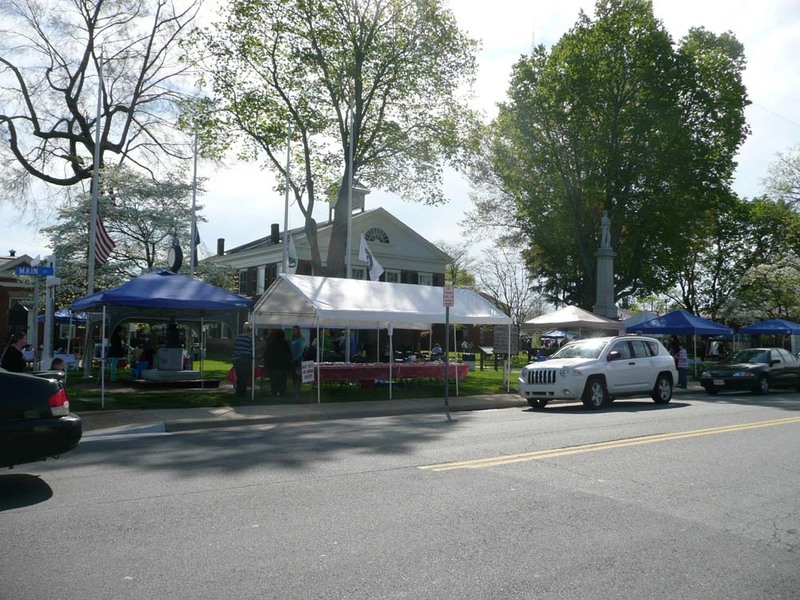 If you don’t live in Virginia, look for small town happenings near where you are. Just don’t be on a fast when you go!!! *Just a little follow-up. 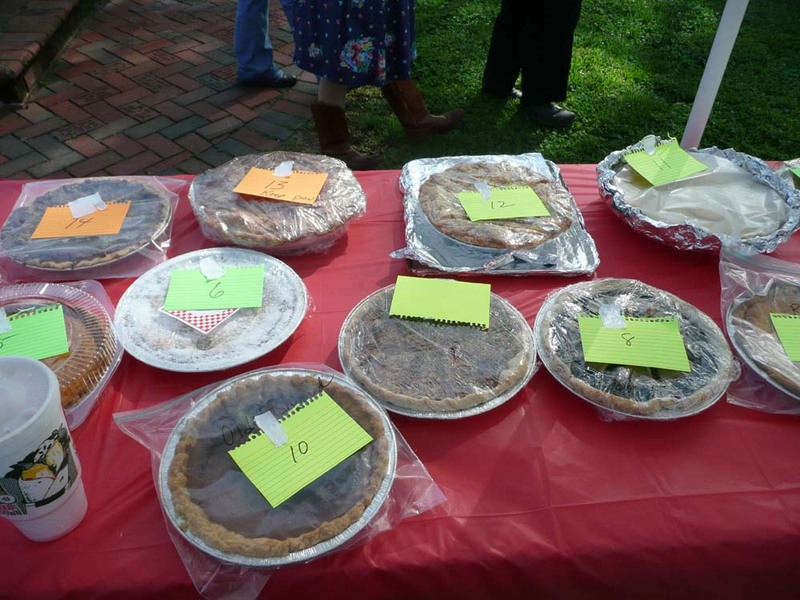 I found out that Madison, one of Carmen Long’s daughters won the Aunt Bee’s Pie contest with her Buttermilk Pie. Way to go Madison! Awesome post 🙂 Loved this festival in Bowling Green today! I would love to visit your Mayberry festival. It looks wonderful and isn’t life so much nicer in a small town? I don’t know if I would have stuck to the fast with all those pies calling out to me! I’m Actually Going to Make It!